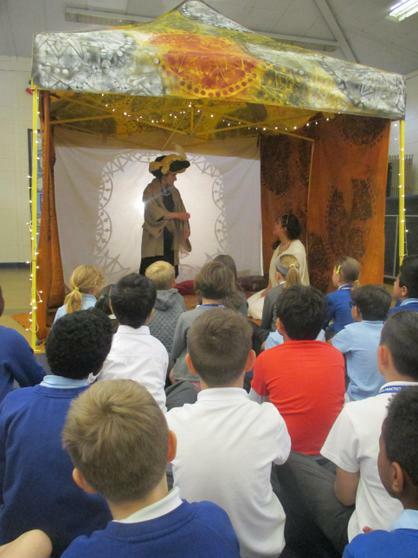 12.5.17- 3Y were very lucky to have the opportunity to watch an absolutely amazing theater visit all about story telling. 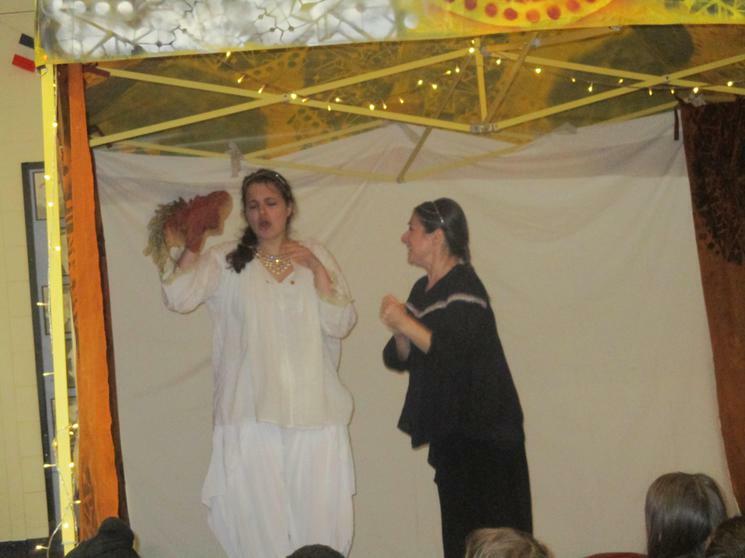 It was set in the magical backdrop of Arabia and was the story of Dunyazaad and her brave sister. 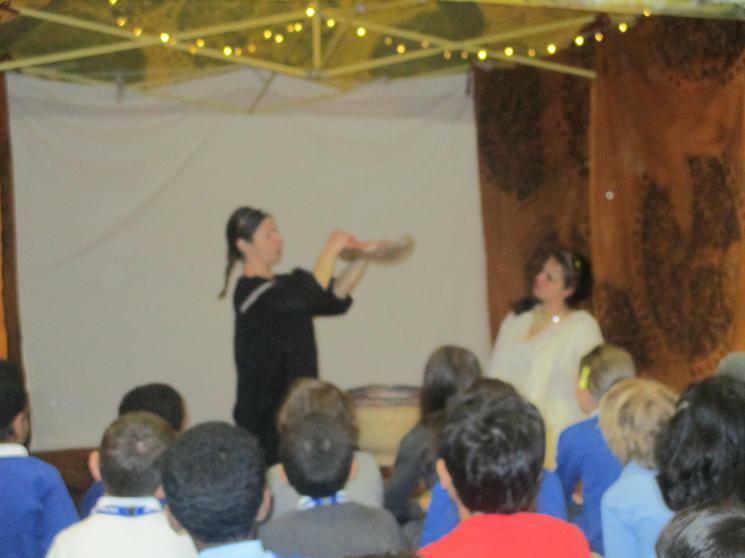 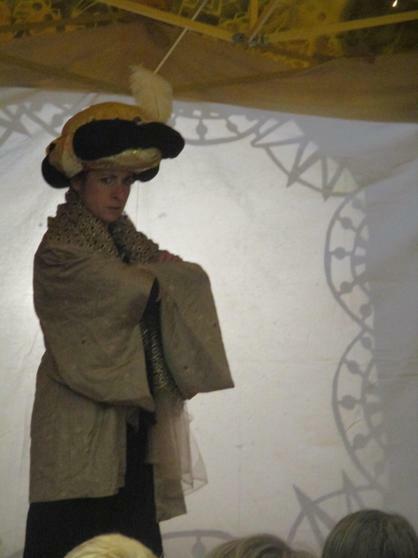 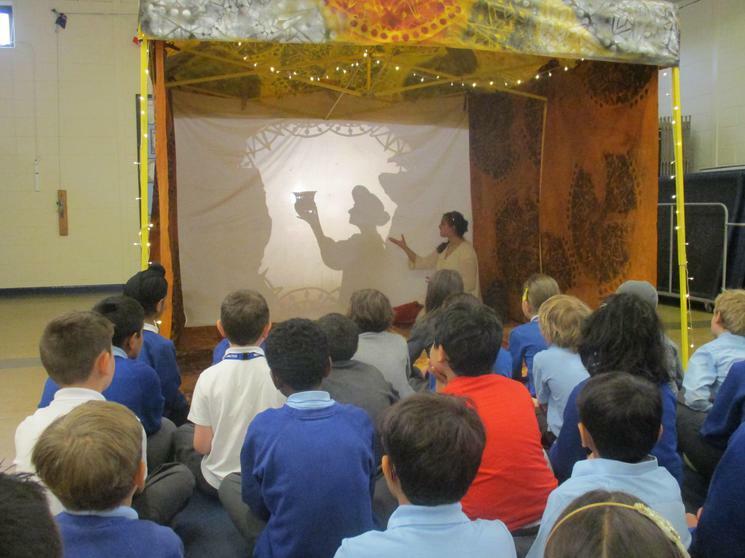 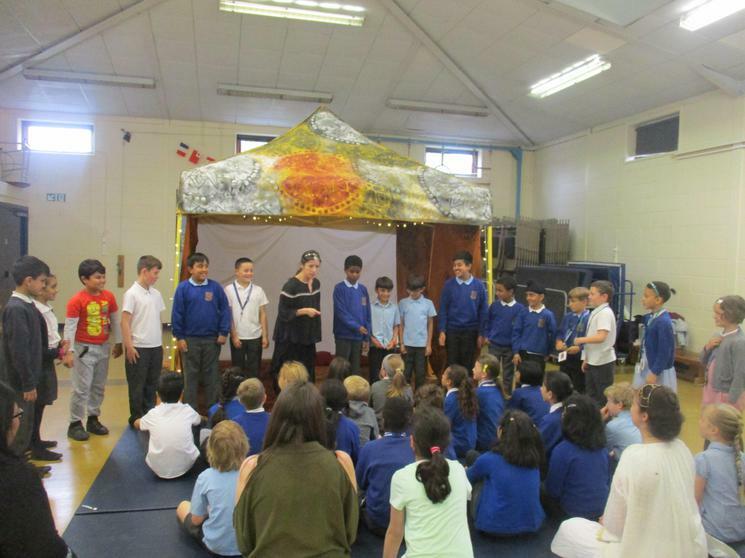 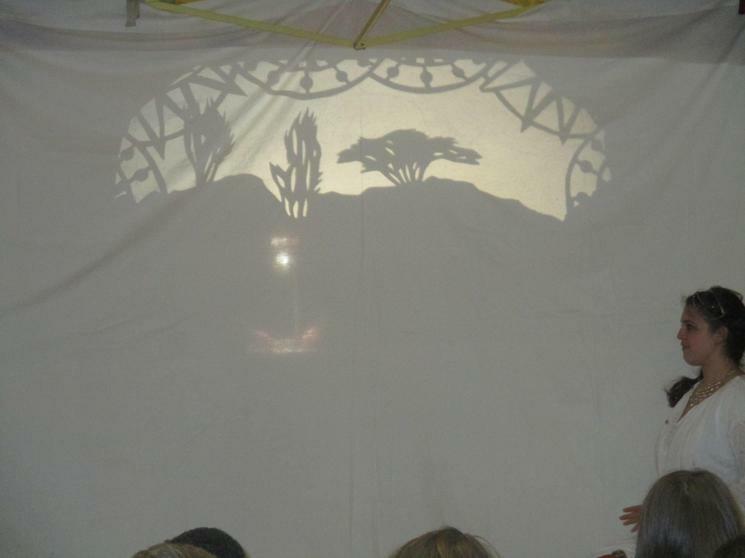 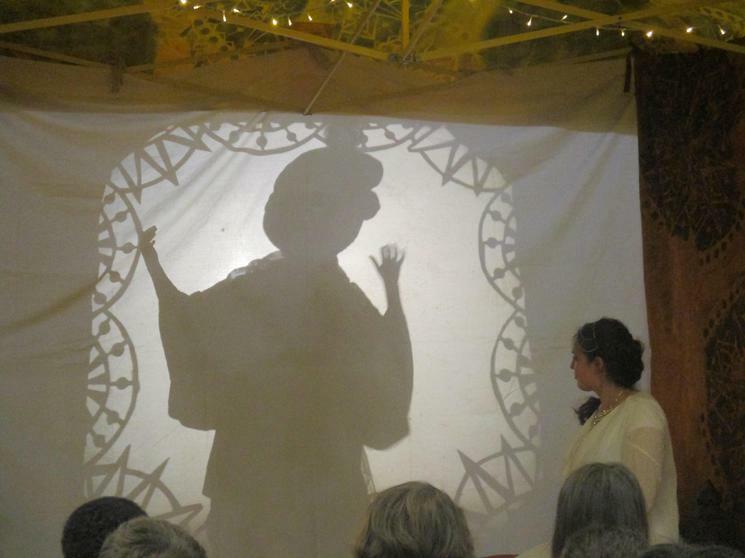 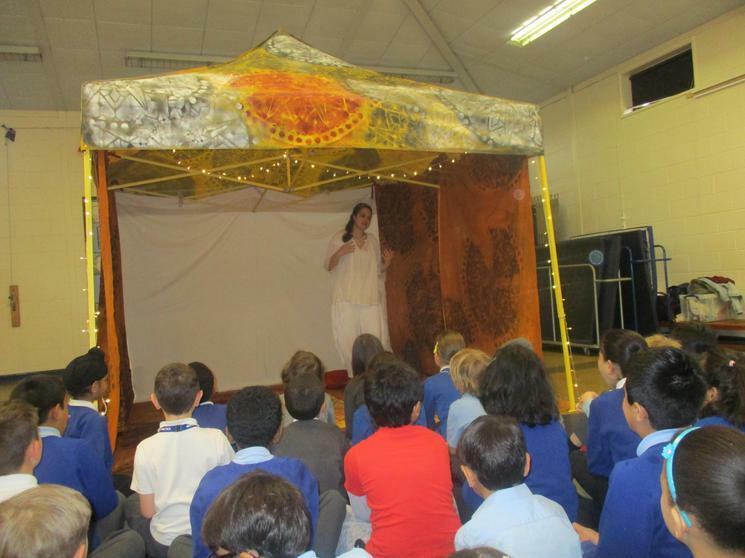 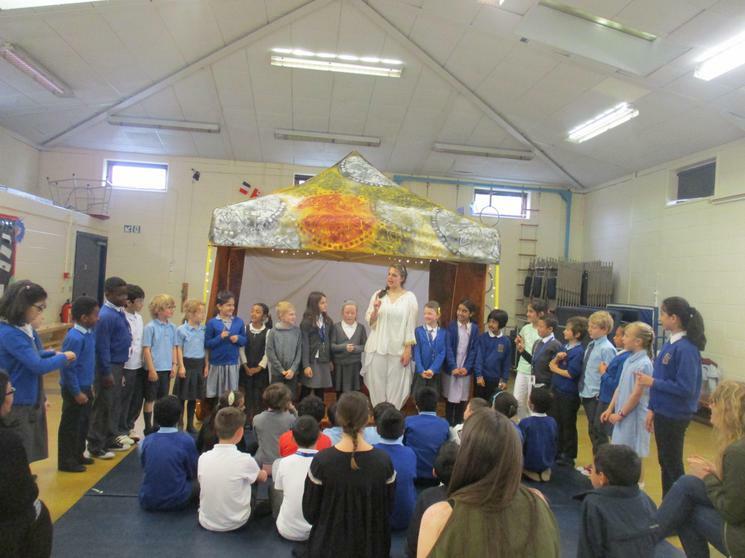 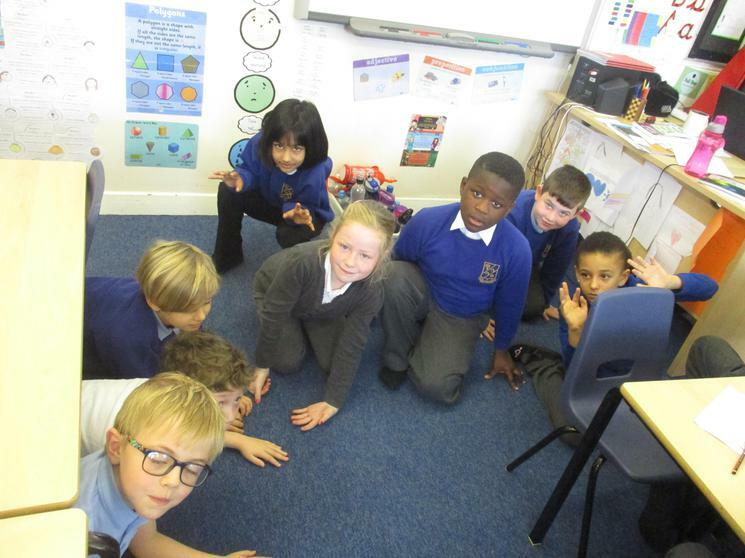 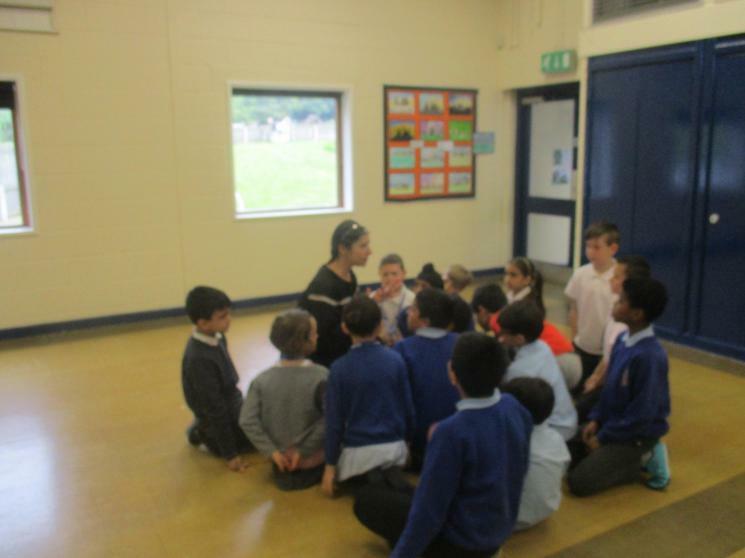 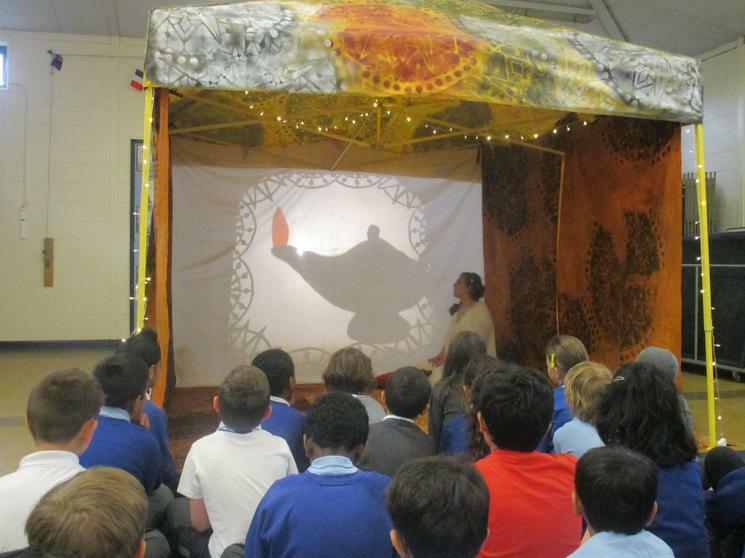 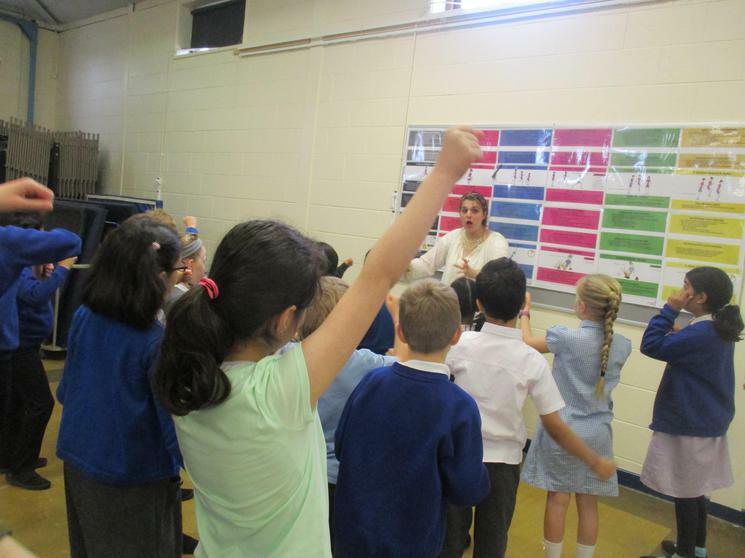 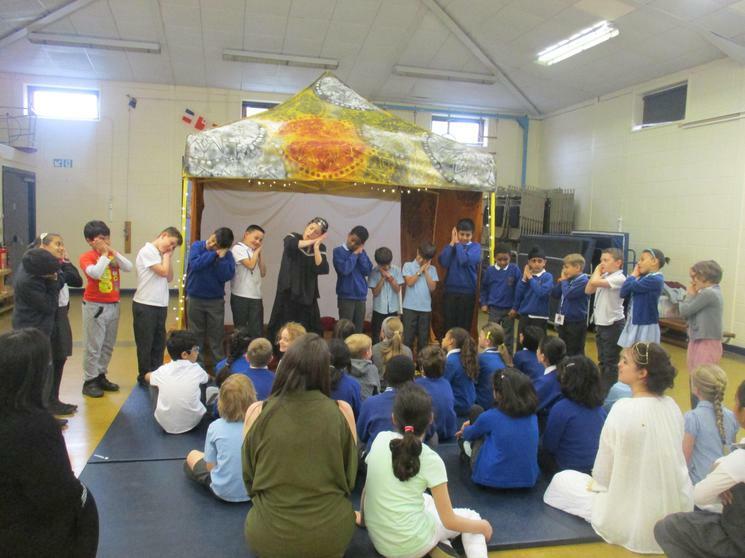 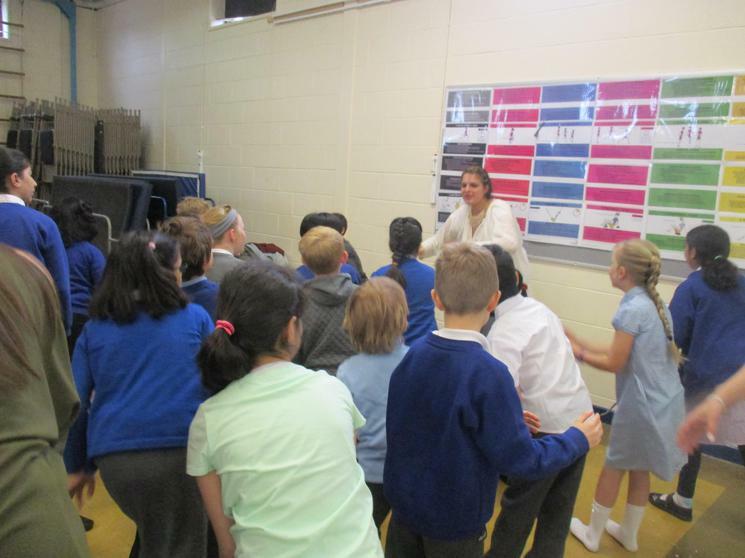 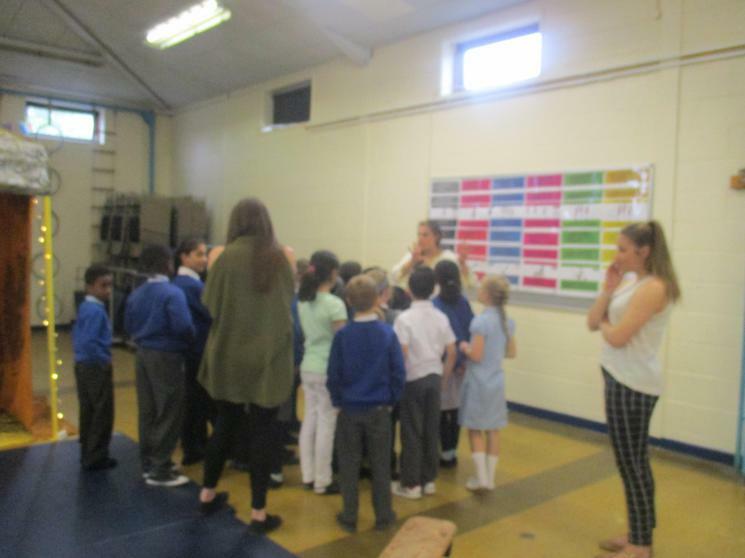 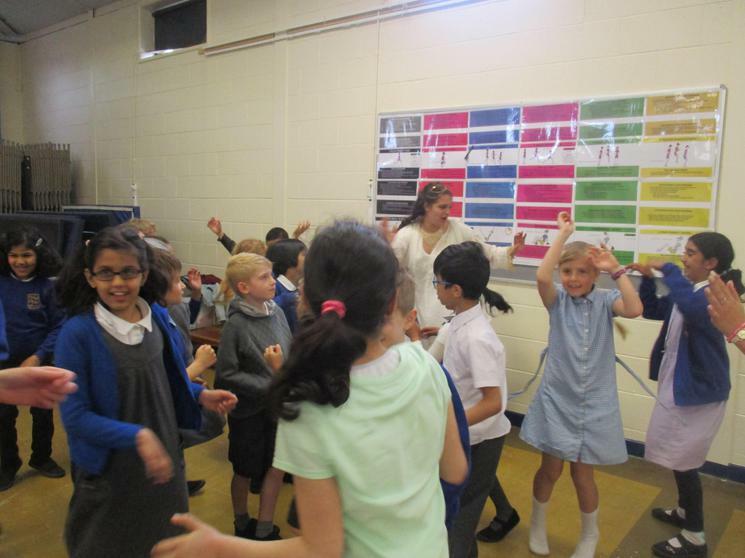 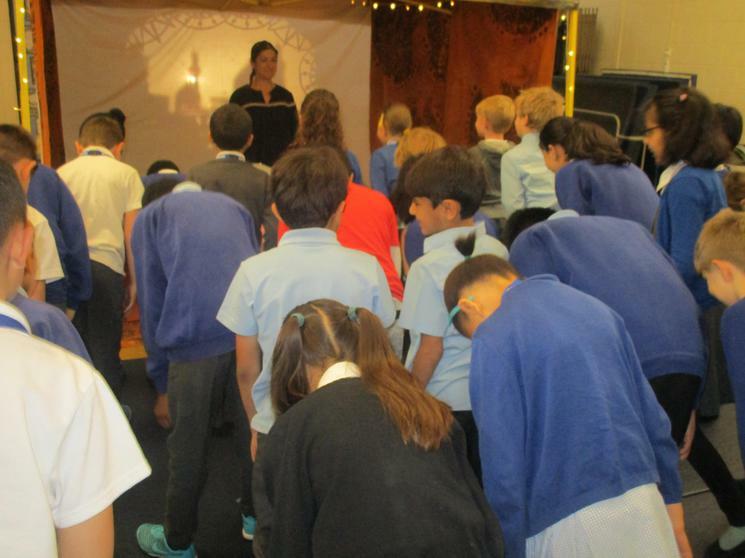 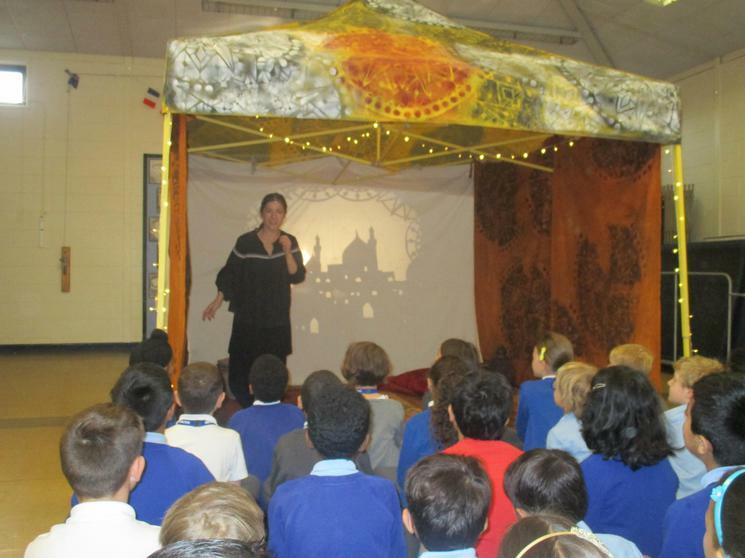 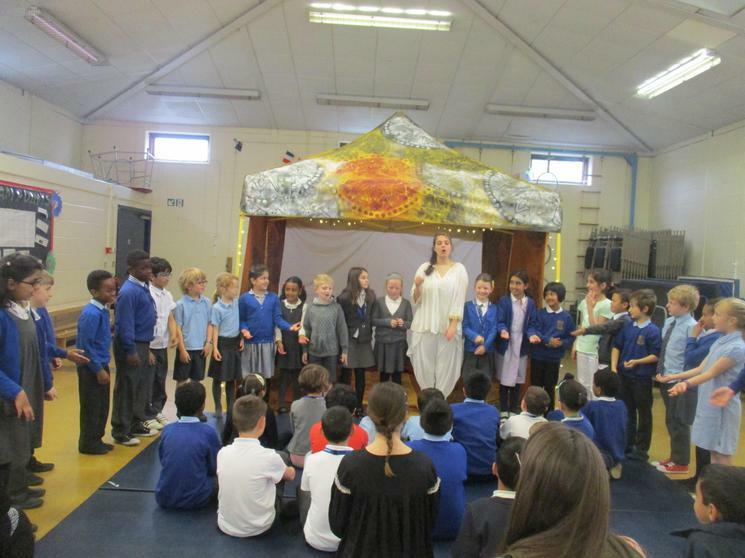 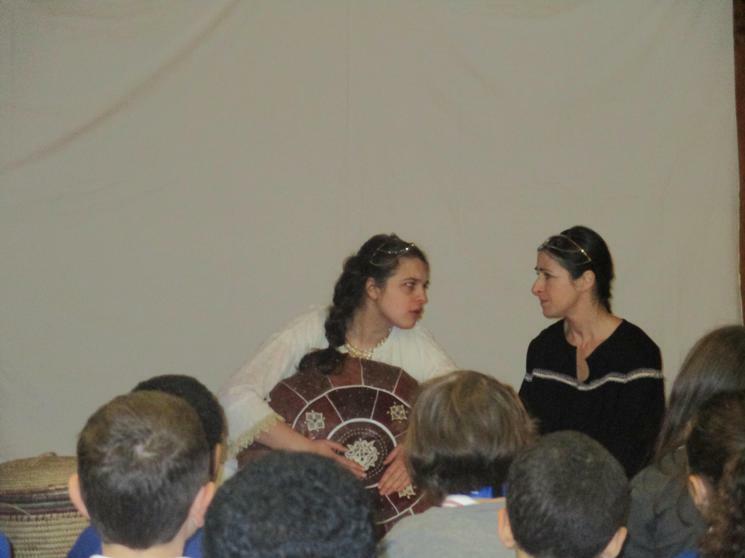 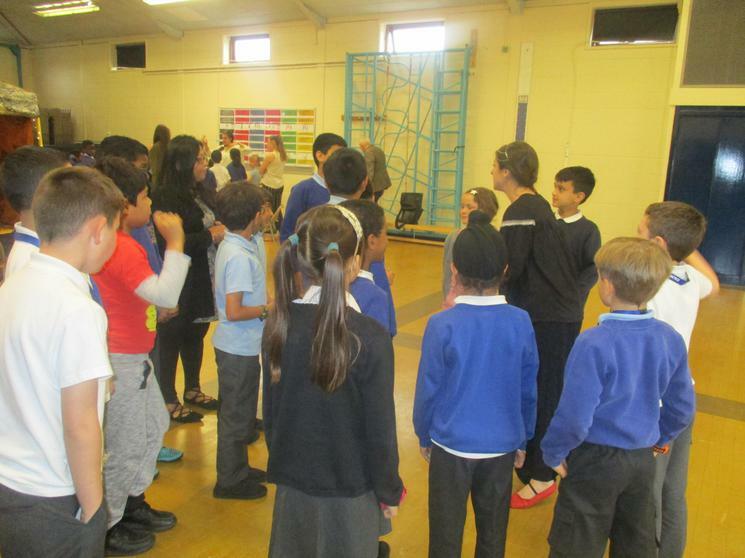 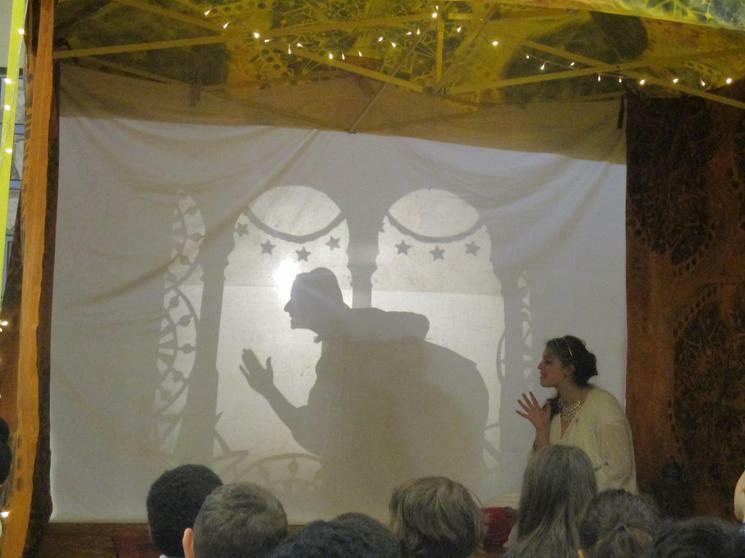 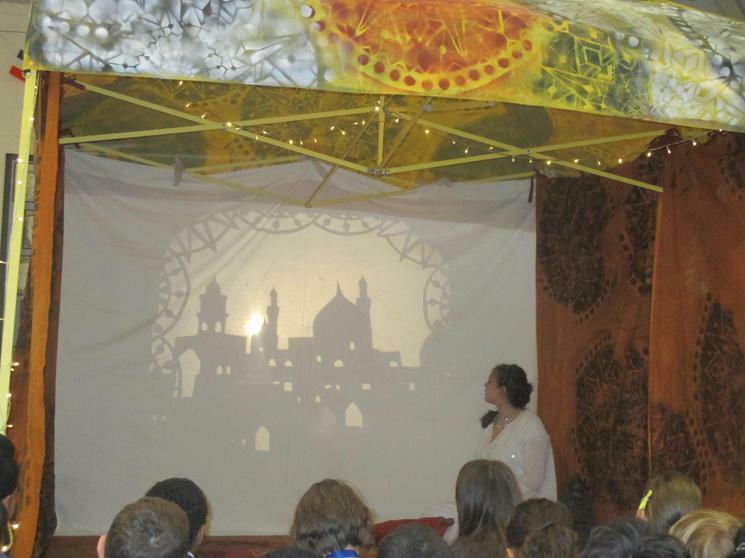 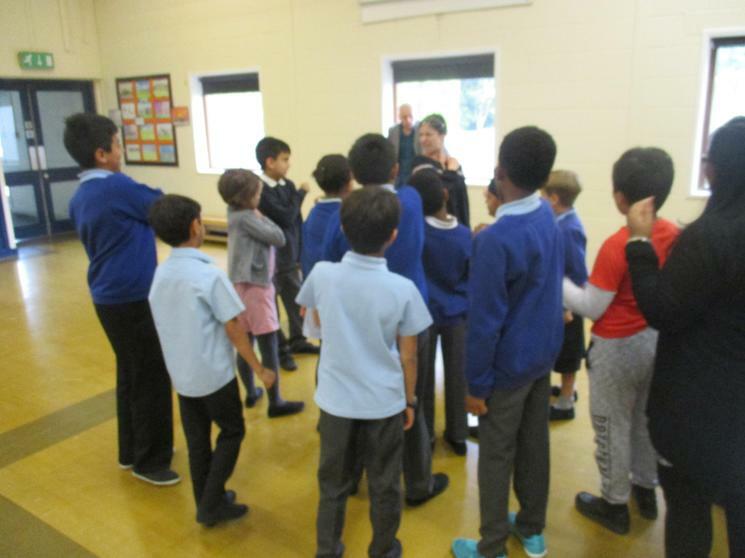 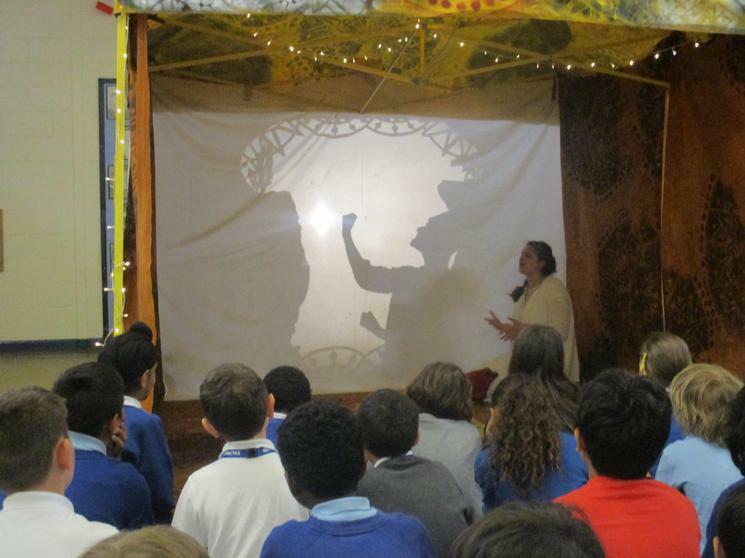 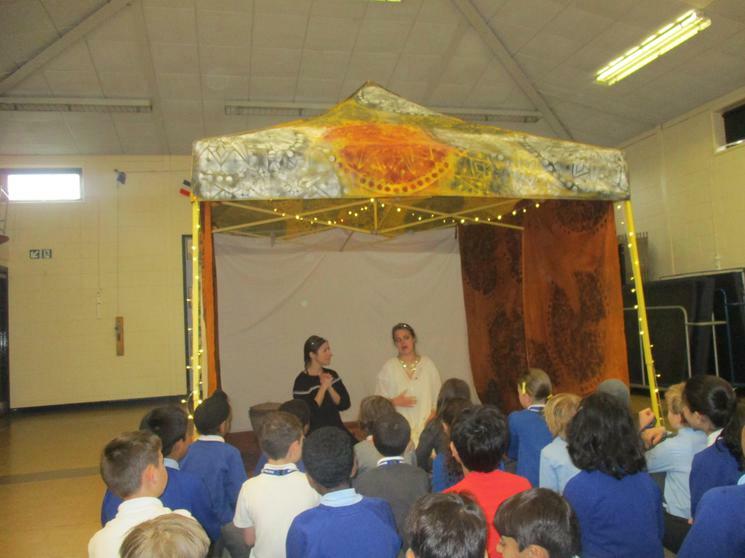 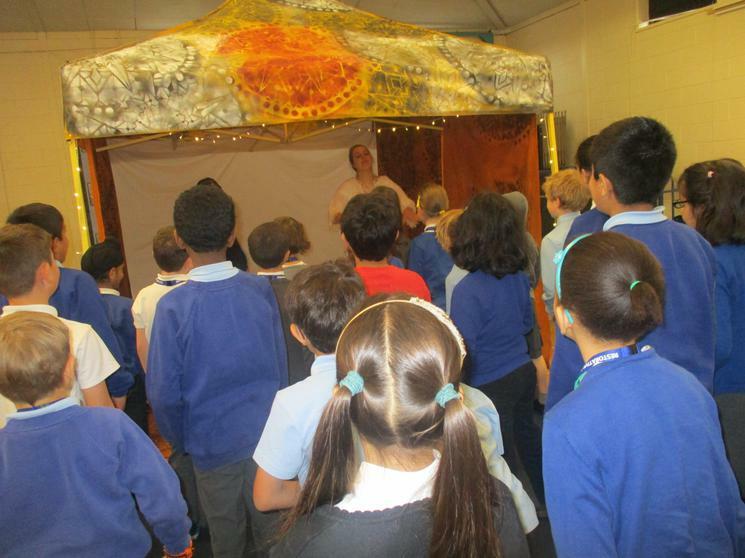 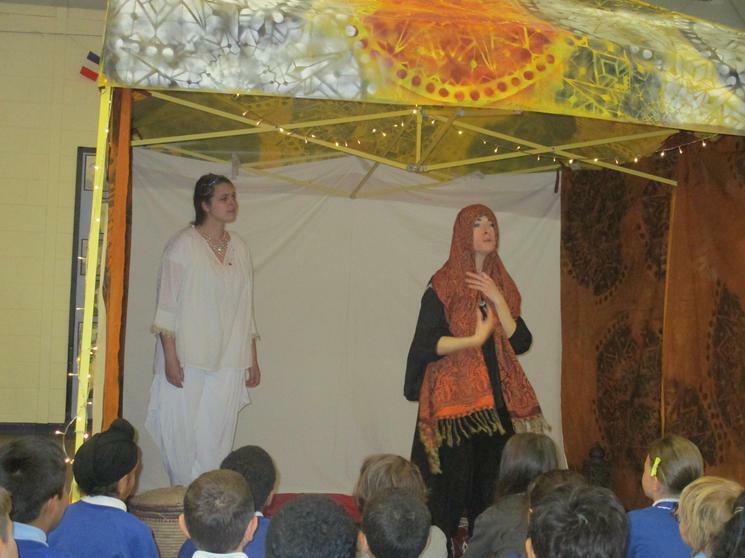 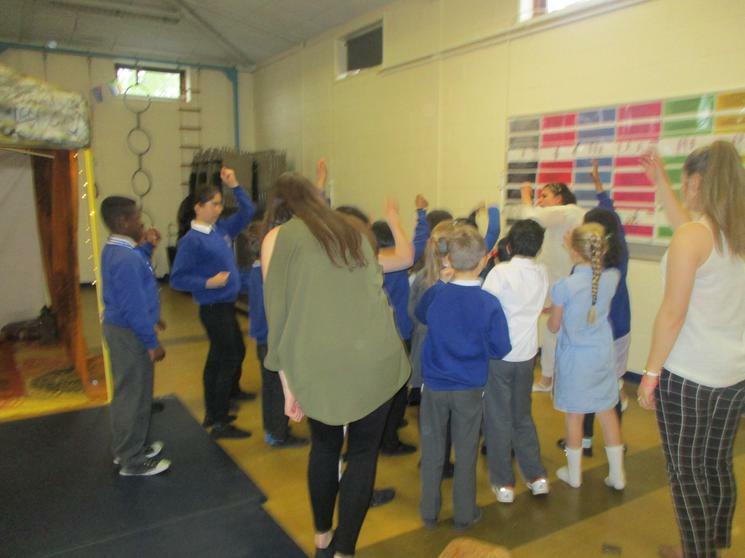 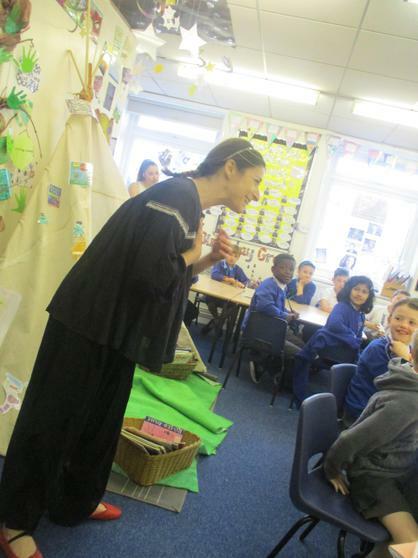 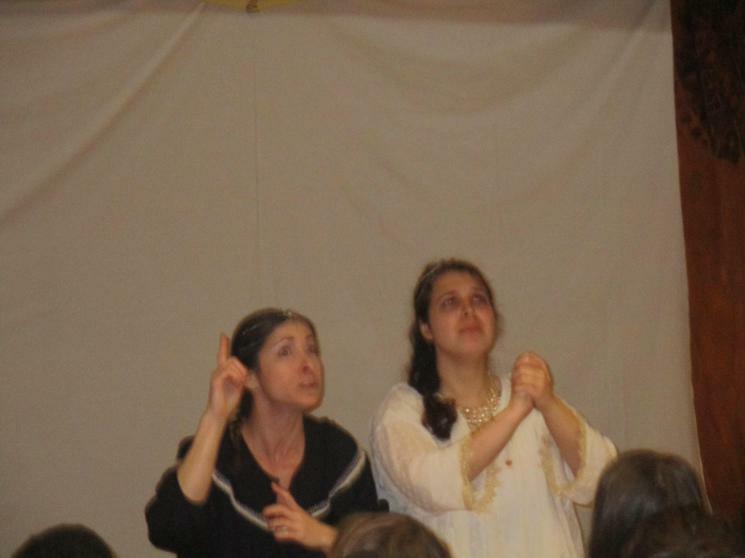 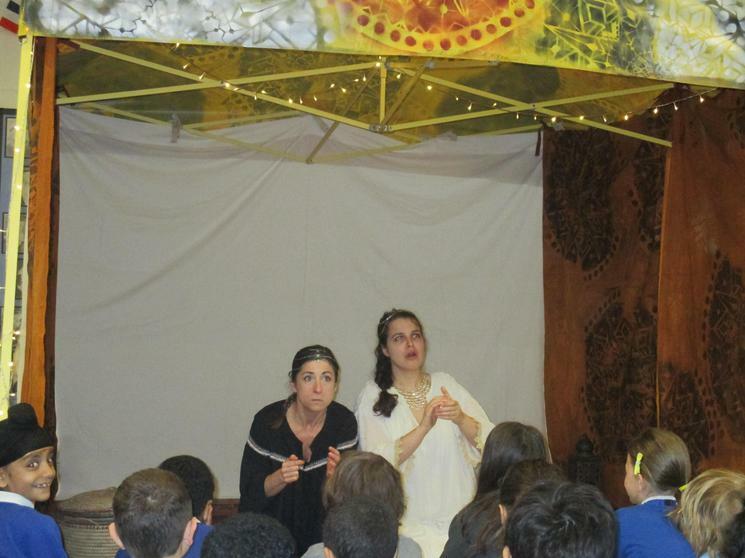 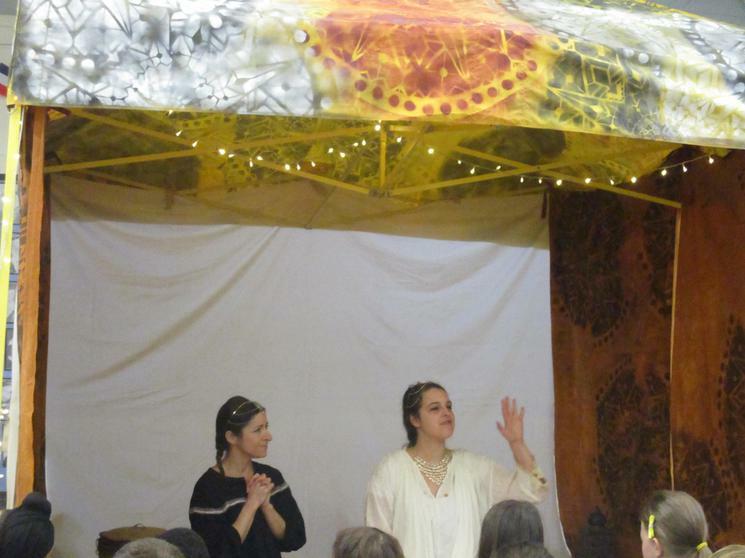 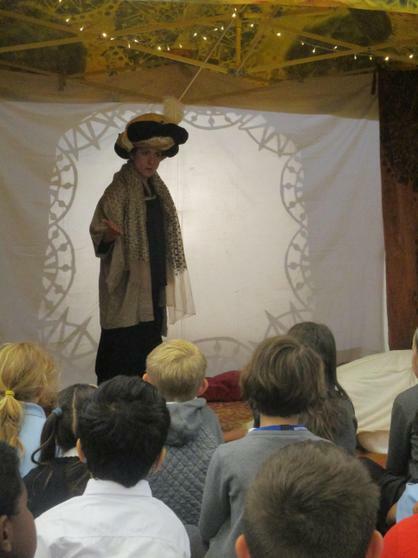 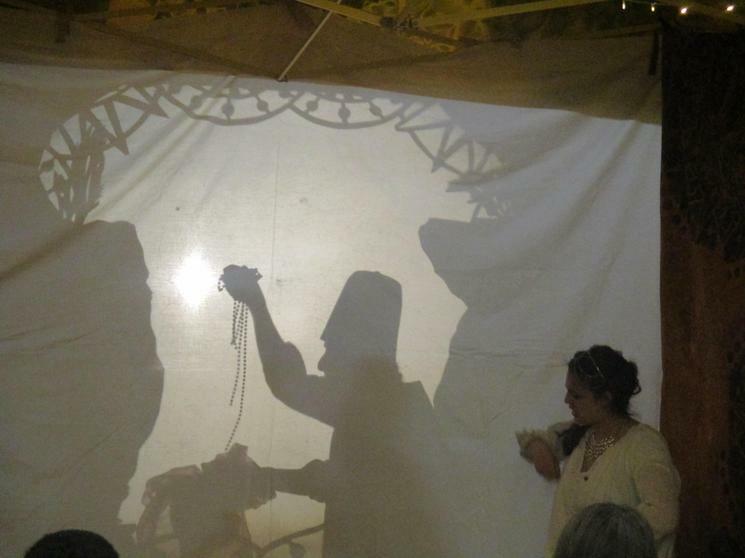 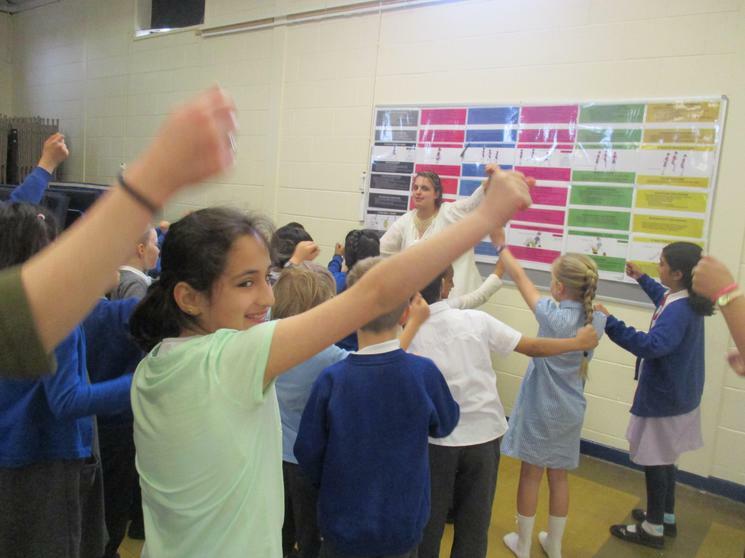 The children and adults alike were enthralled by the wonderful production and the children had the opportunity to participate in the role play and create some of their own wonderful stories which we can use in our upcoming Islamic civilisation topic. 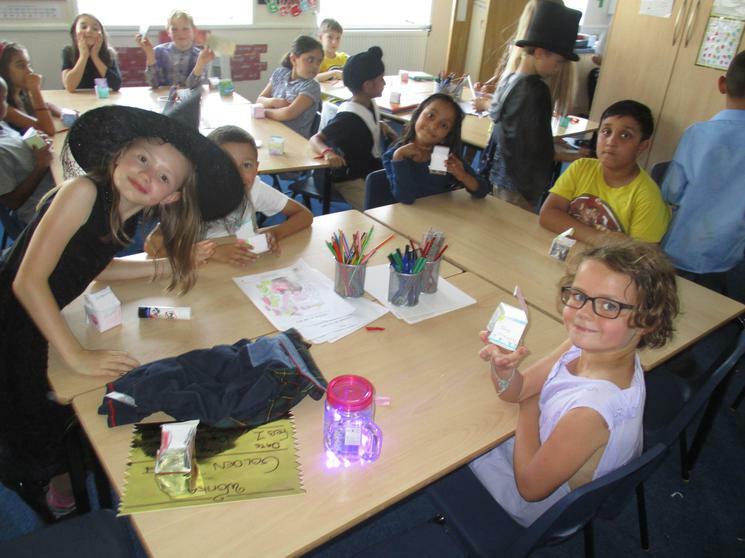 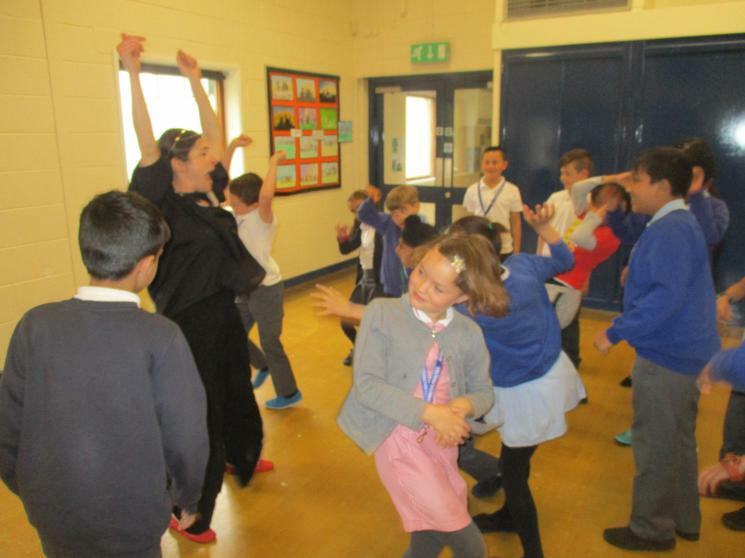 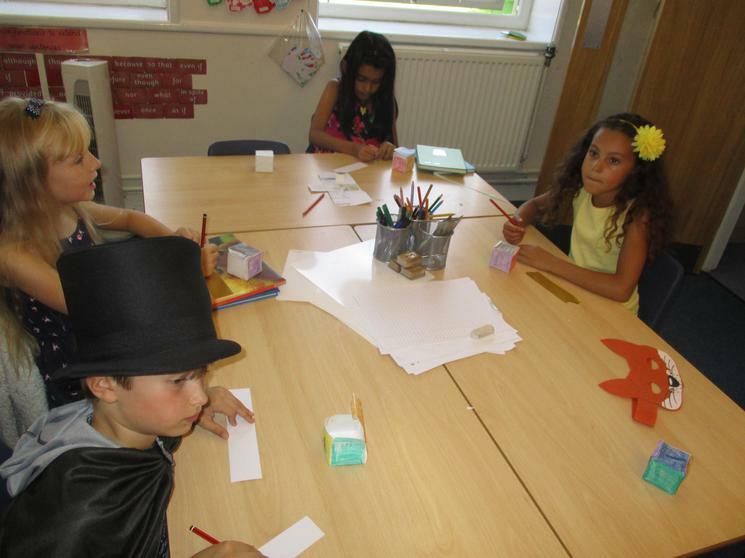 Year 3 really enjoyed celebrating Roald Dahl day by taking part in lots of fun activities and of course dressing up as our favourite Roald Dahl characters. 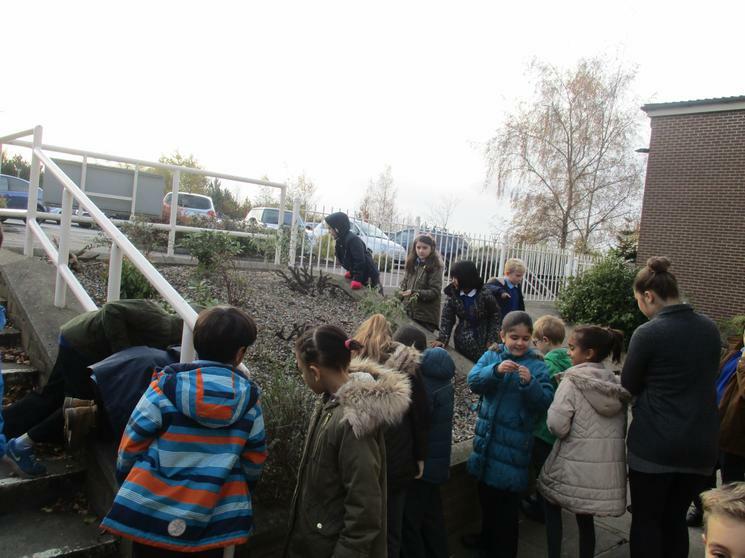 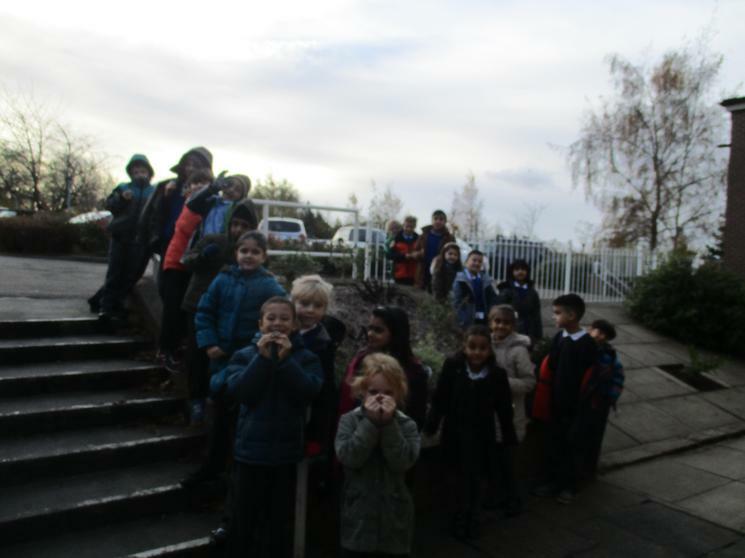 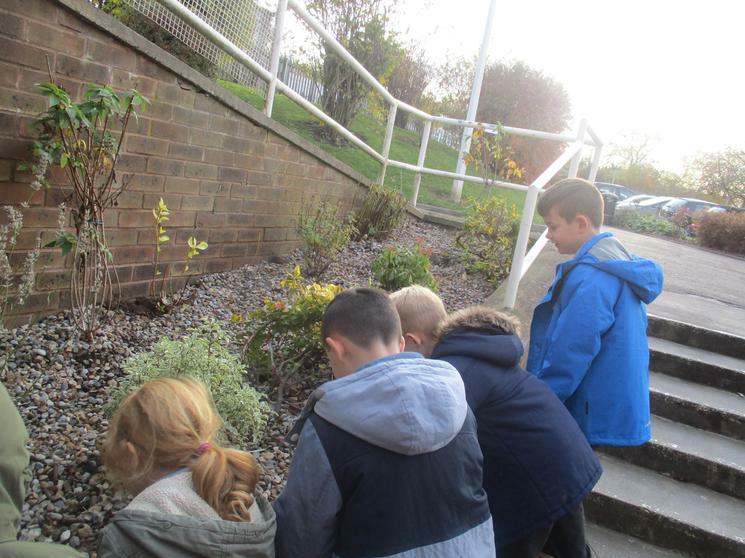 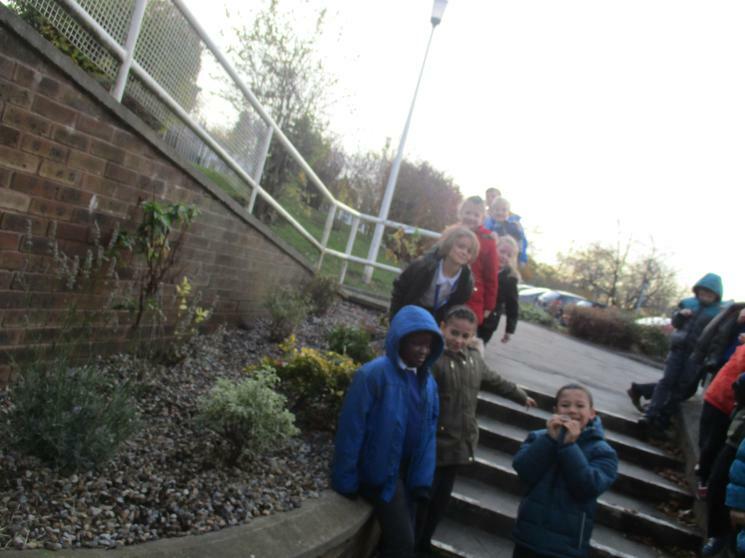 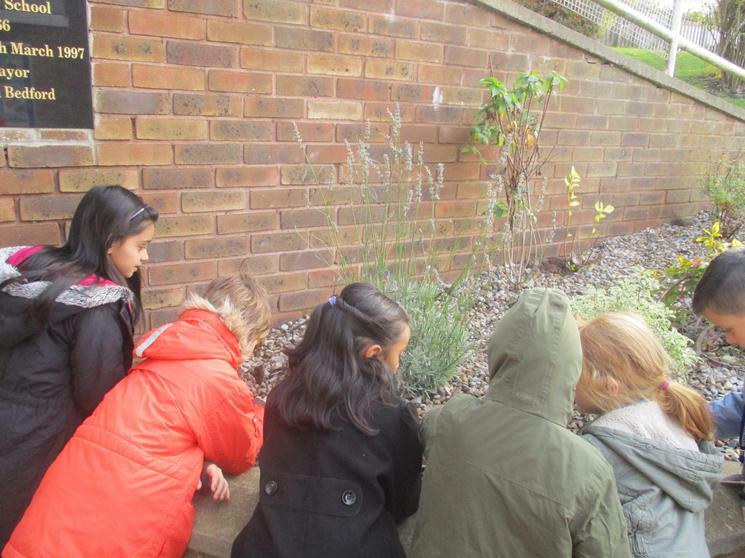 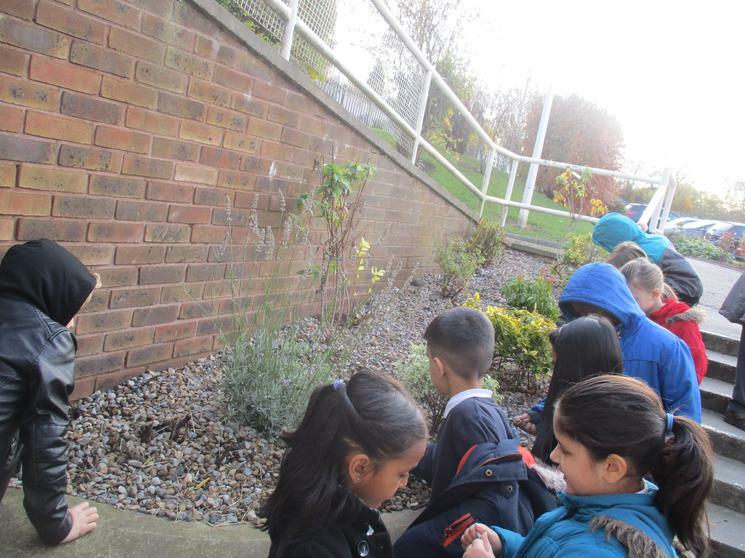 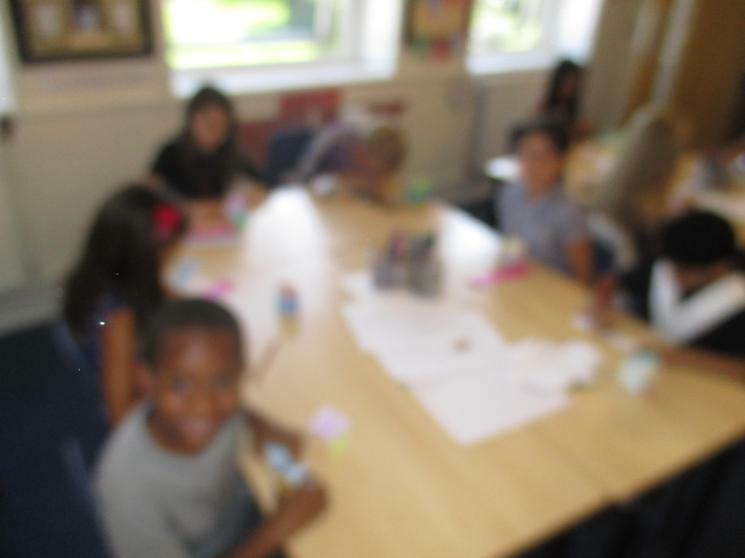 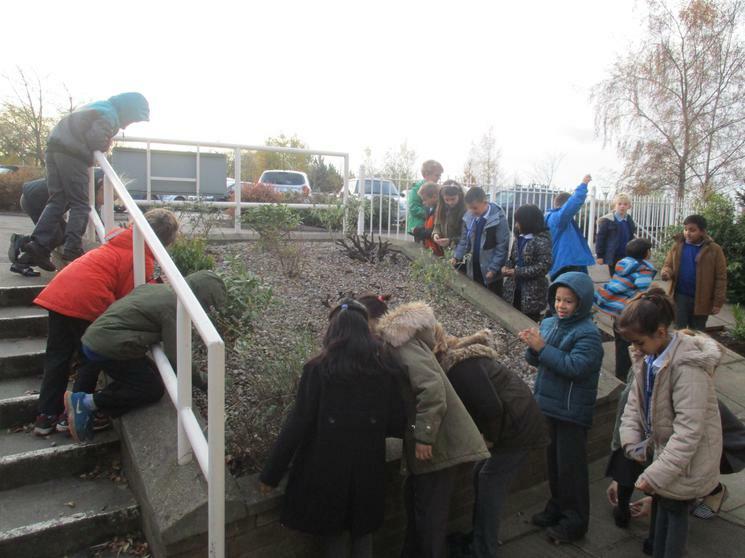 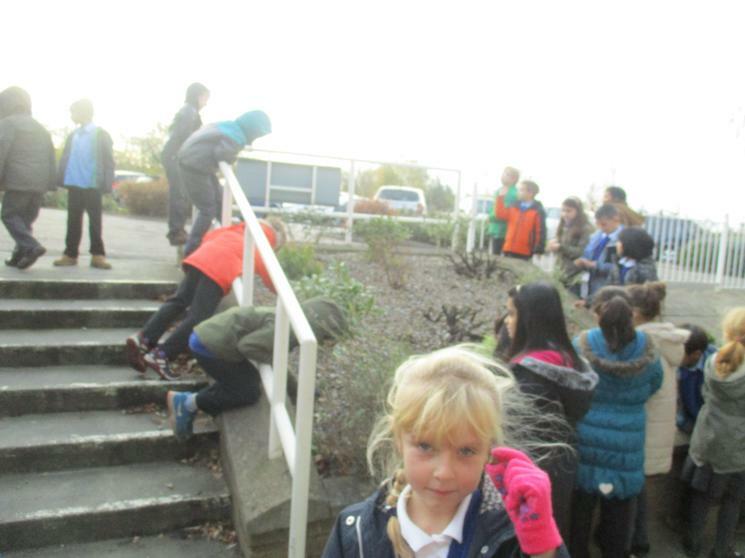 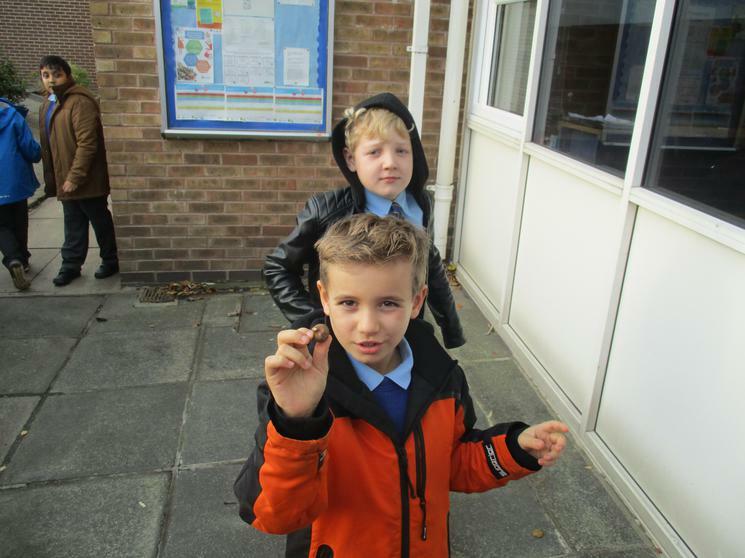 17.11.16 - Year 3 have been reading ' A pebble in my pocket' in Literacy and yesterday we went on a pebble hunt to find our very own pebble. 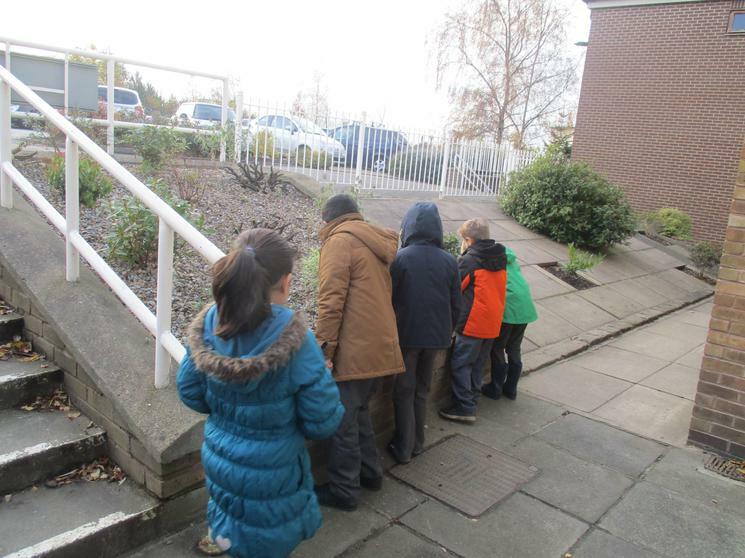 Back in class we used our knowledge to then document our pebble's special journey. 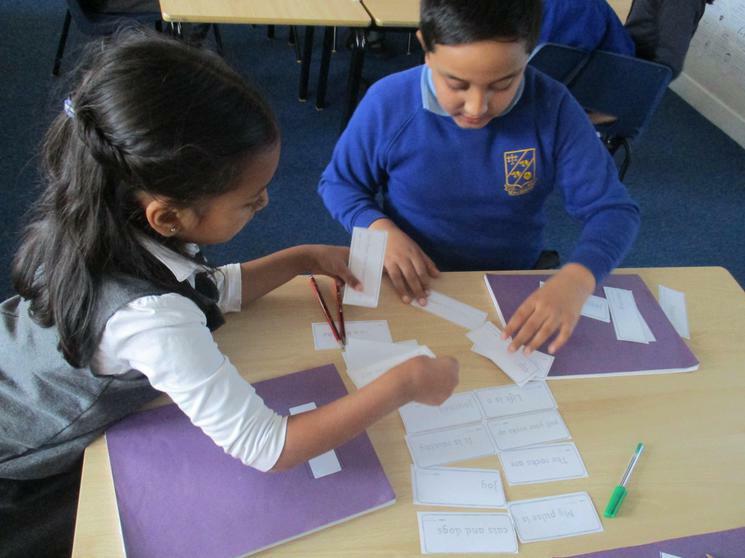 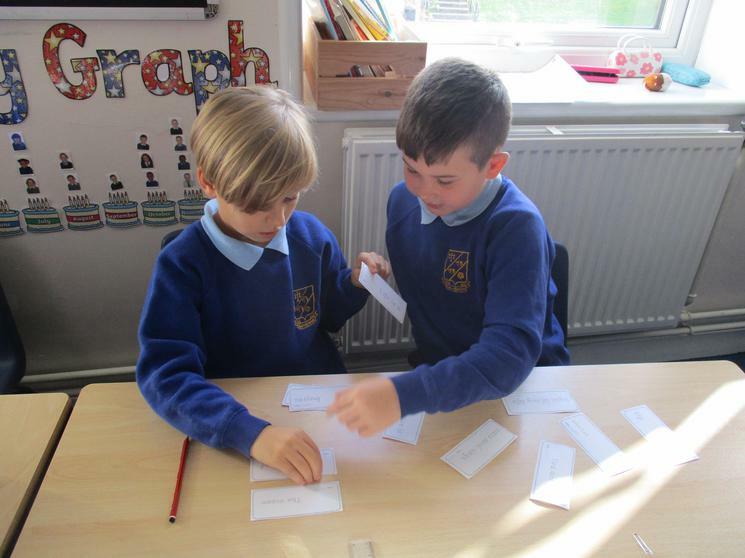 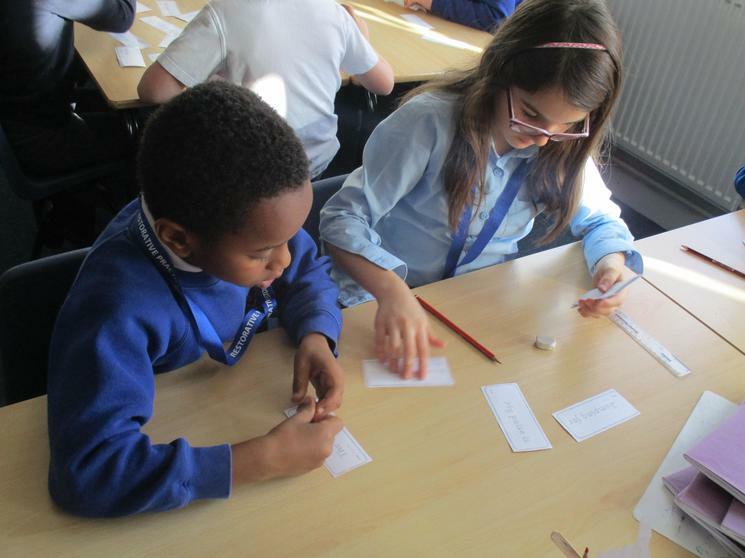 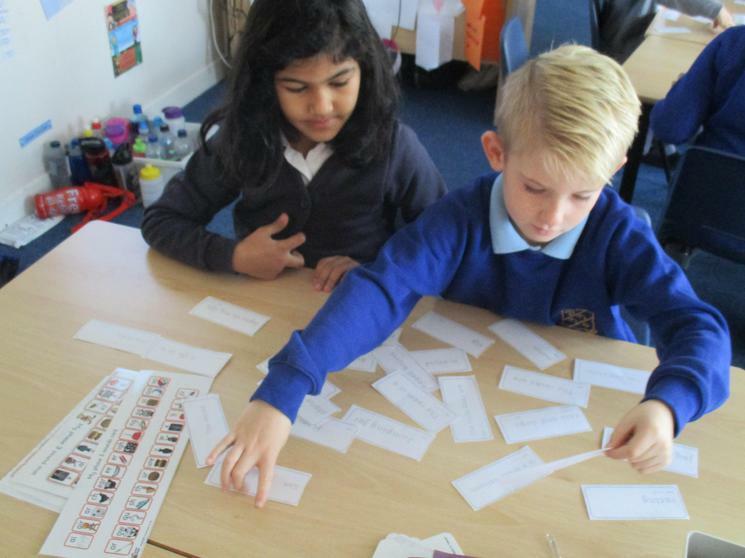 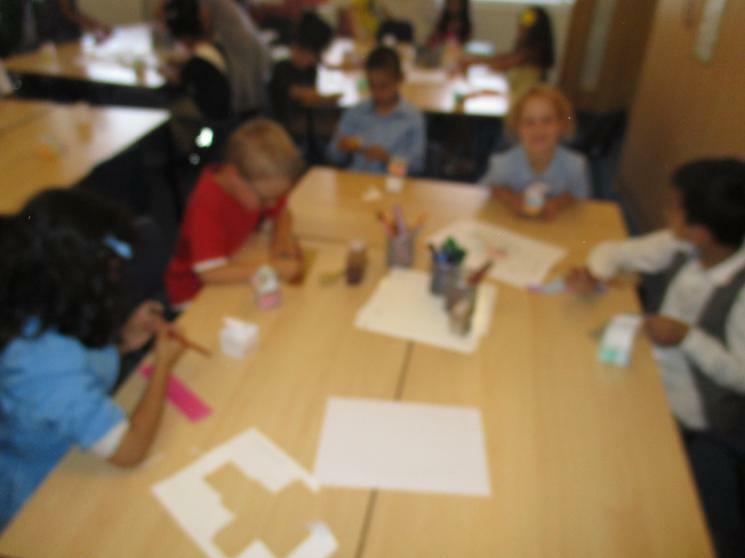 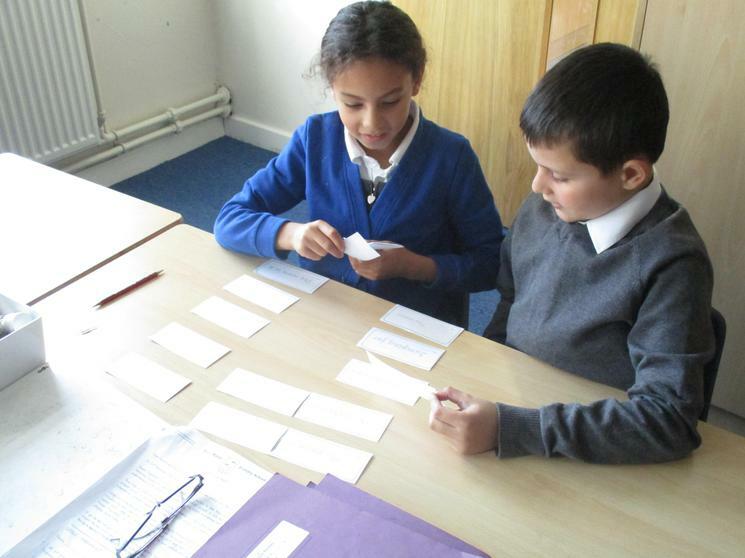 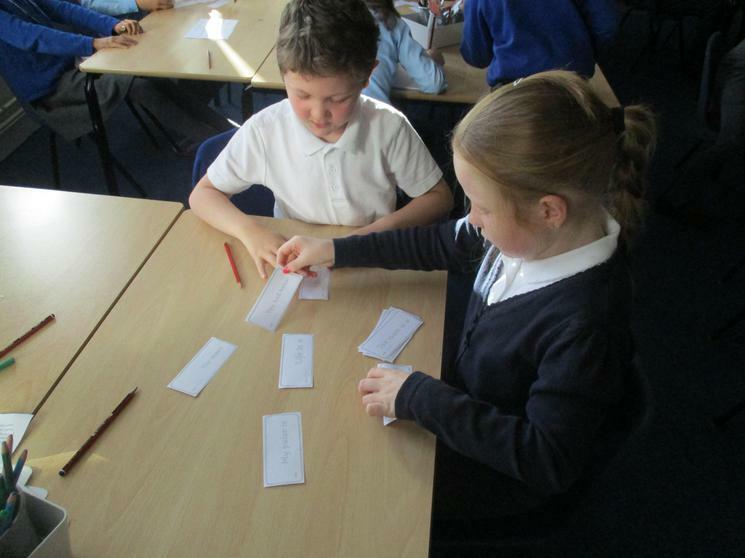 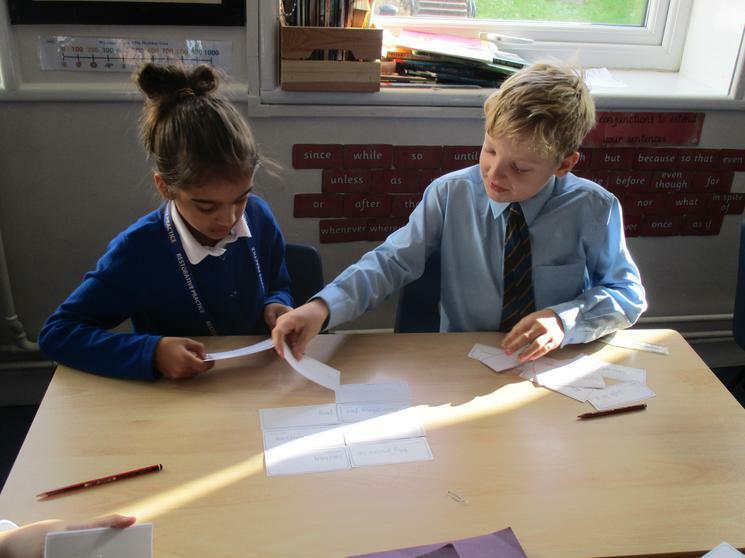 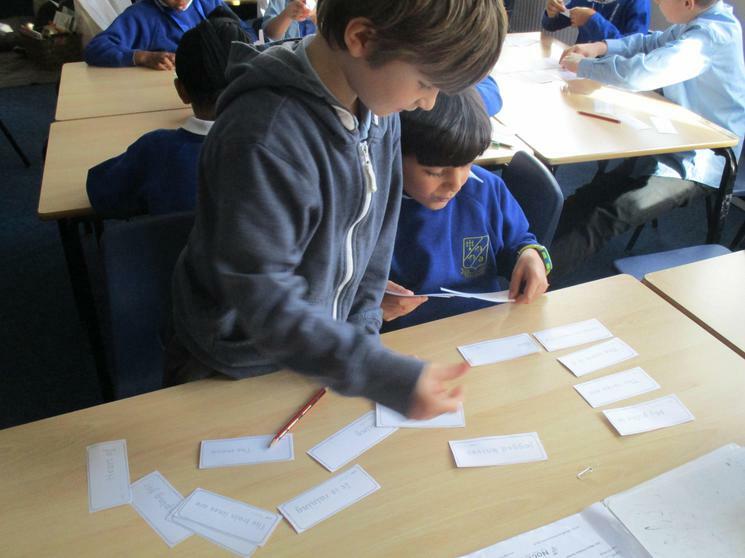 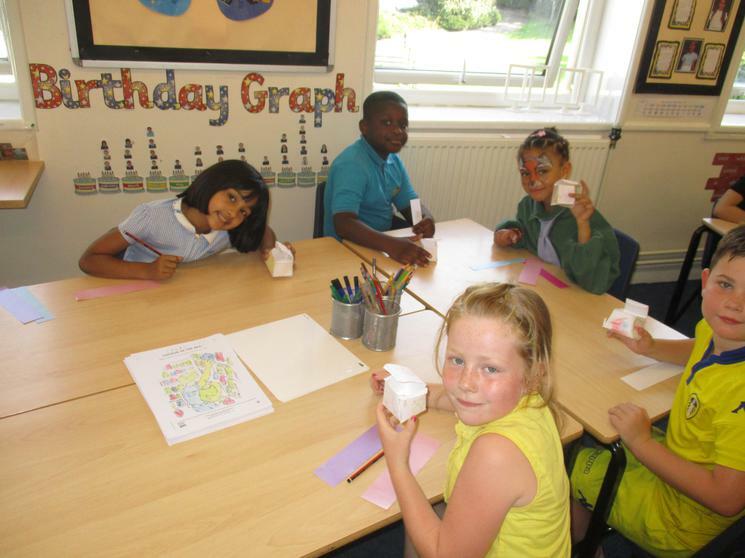 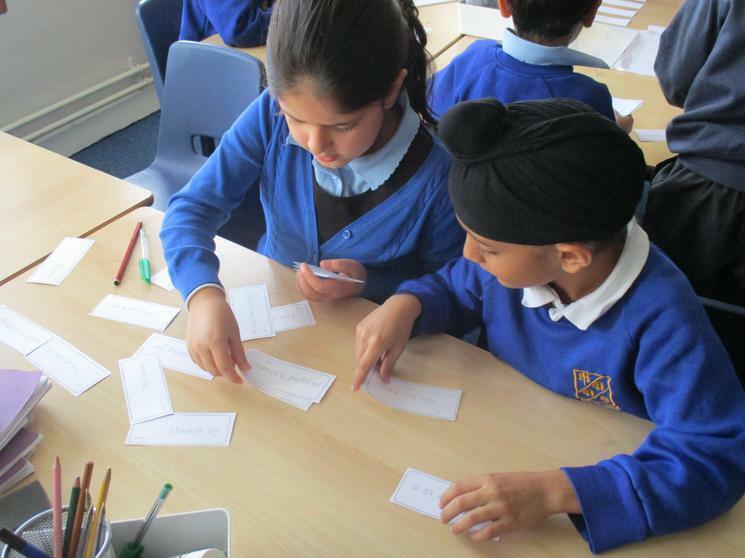 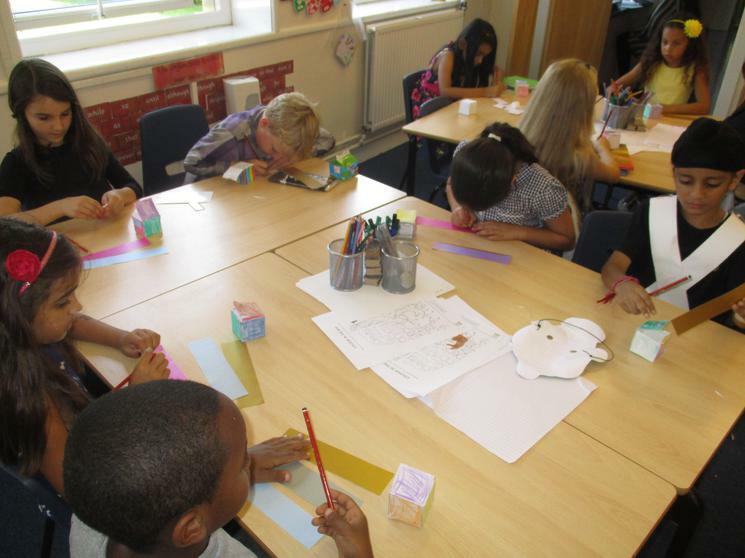 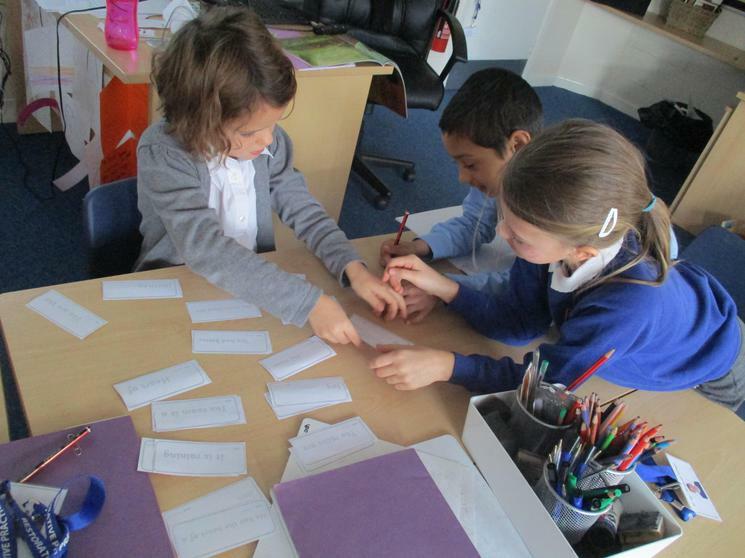 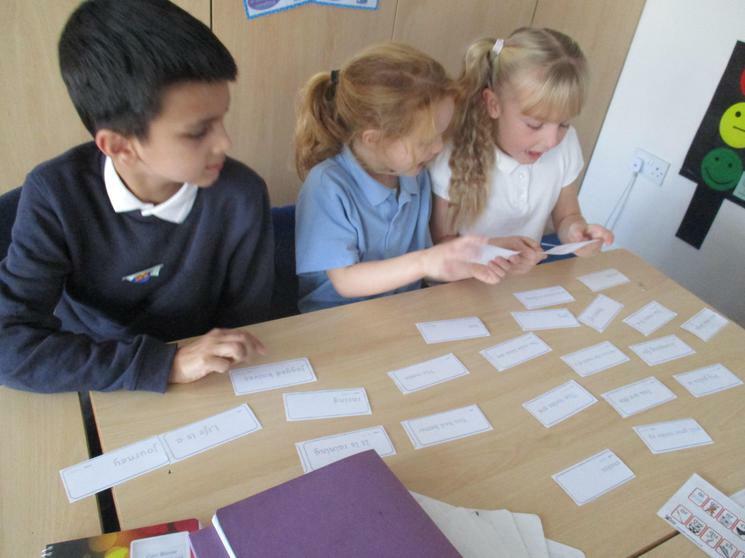 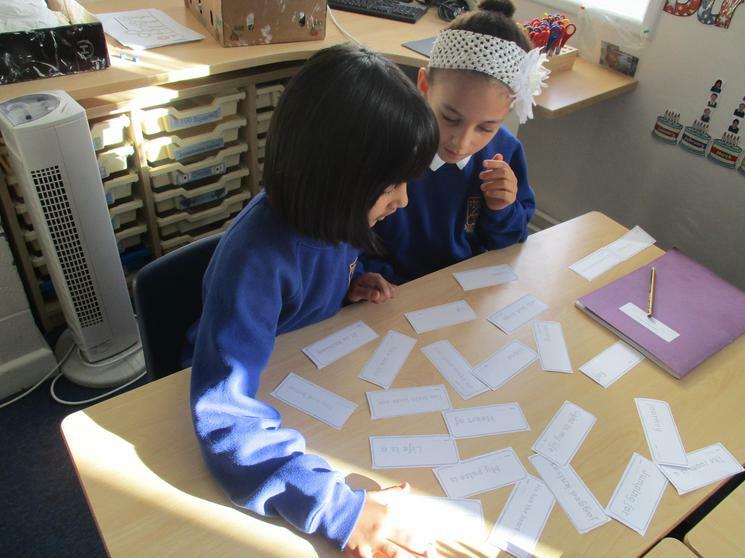 In Literacy we have been learning how to use metaphors, identifying metaphors and to think of our own which the children really enjoyed. 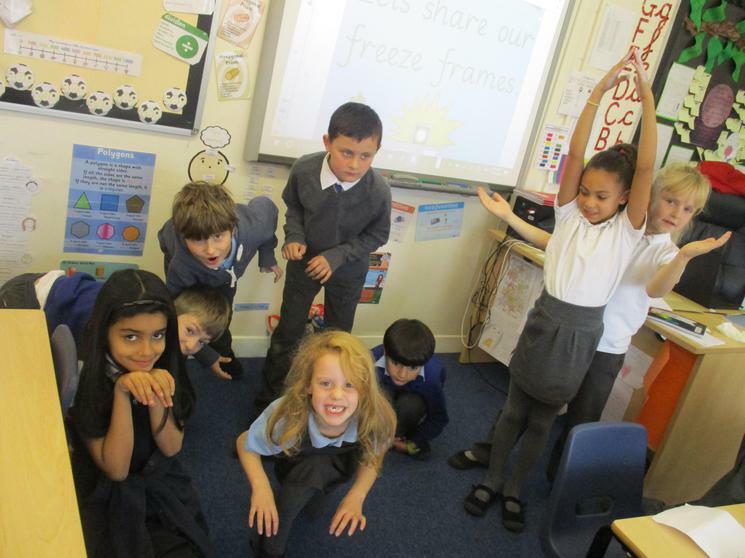 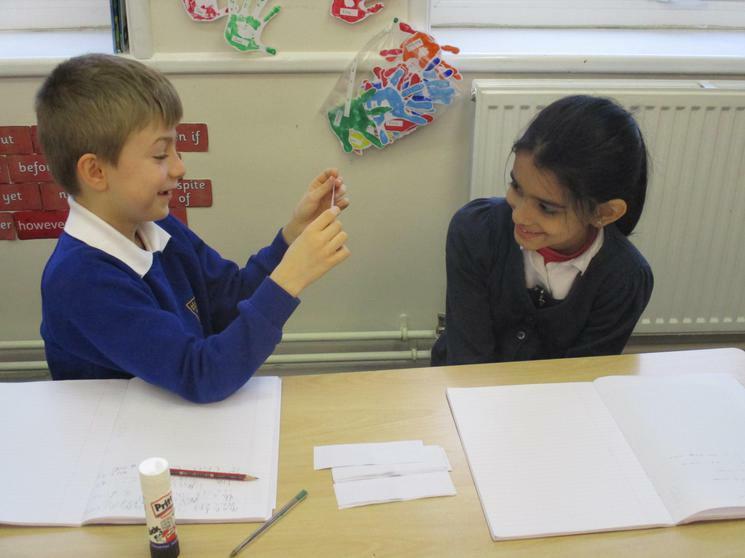 We have freeze framed our Literacy role plays.